I sometimes find it difficult to know what tact to take when reviewing games that, thanks to releases on other systems, are poorly received. 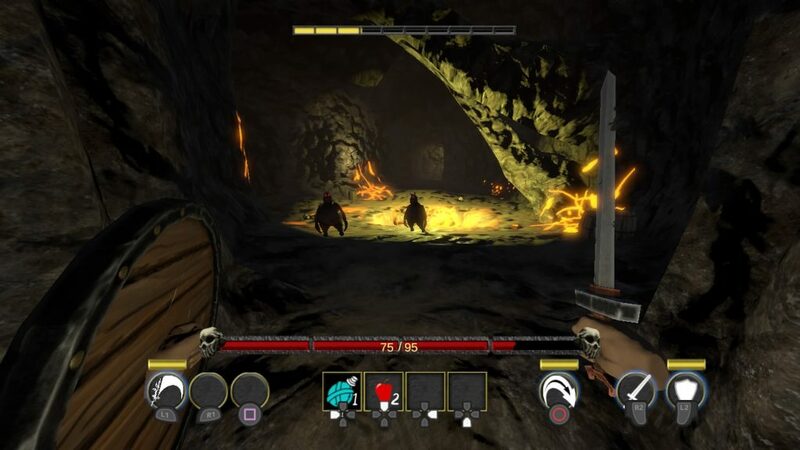 A first-person, rogue-like dungeon crawler, Crimson Keep is one of those games. With an open mind, I played, succeeded and failed and found out just why this game misses the mark. Combat has a simple in-and-out approach where you weave away from enemy strikes and counter with your own. You have perks and additional abilities to deal devastating damage but there’s not a lot of complexity or depth on offer. Enemies telegraph most of their attacks well but there’s moments where you’re caught out by swift kicks or stabs which you can’t really predict. It can be frustrating when self-preservation is so key to Crimson Keep. You have a couple of classes to try and, whilst they do begin as potentially different styles, they can eventually gravitate to the same melee exchanges. Beserkers specialise in this but their lack of ranged options make some enemies dangerous to face up. Witches come equipped with wands that can spew out magic but they do have a limited amount of casts. There are items that can restock this ammo but I found your best bet was to find a spare wand to use. The final class is designed to make a tough experience even more difficult. To be honest, the classes don’t really offer much nuance. The Witch proved my favourite due to having a wand in your hand to start with. Beserkers feel handicapped without an option to deal damage from afar. I’m disappointed these two don’t differentiate themselves enough. 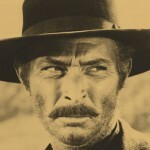 Your weapons and equipped items vary but, with no stats to speak of, each class lacks a personality. At the moment, they feel like variations on the same blank slate. They do offer different perks but waiting for a new level to build your own warrior can feel a little deflating. I noticed early on how hit detection can feel a little off. 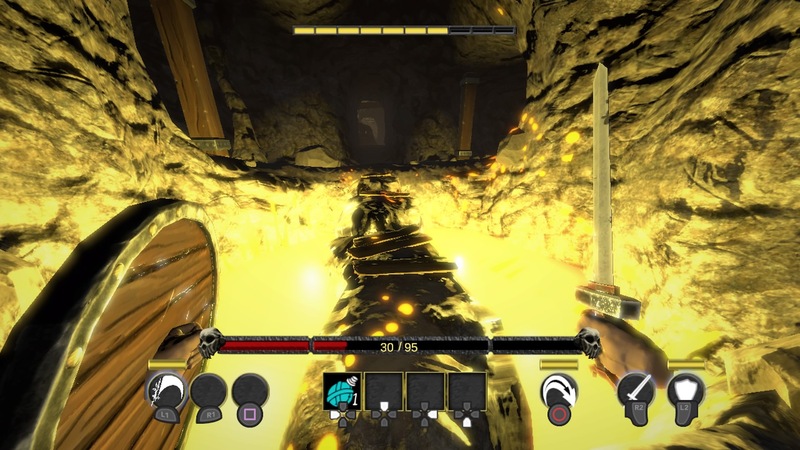 There’s an odd eccentricity with Crimson Keep where your hits connect only if your reticle is on an enemy. Lining that up, whilst considering your range and attack speed does provide a challenge. It can also feel like a nuisance when enemies come forward in numbers. Enemies with projectiles feel like the most annoying. If you have no ranged weaponry of your own, you’re likely to take some hits as you close them down. Defensive options are limited with shields and the occasional perk providing minor respite. Shields also have a tendency to break, making them somewhat unreliable. 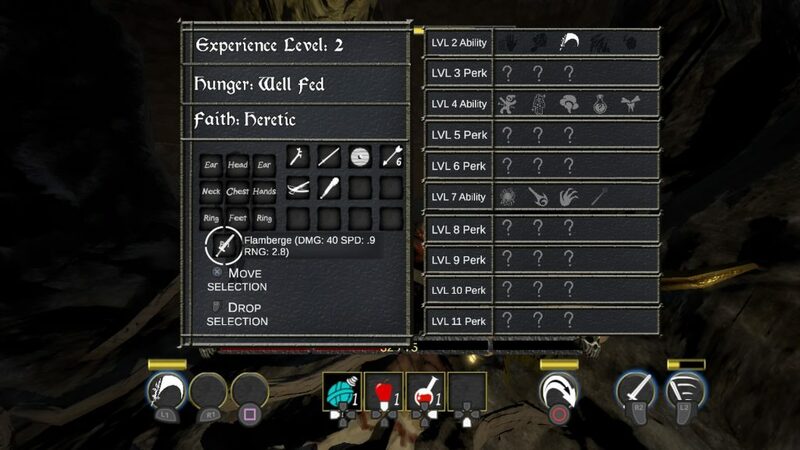 Progression through dungeons can feel slow and methodical. The road ahead will fork and twist and choosing your direction can often be decided by which enemy stands in your way. Killing them adds to your experience bar and helps recharge your active abilities. I was killing enough to make plentiful use out of them. The pace of exploration is one of the few aspects I enjoy but it does become short-lived. Loot can usually turn the tide in these games. Crimson Keep suffers from some erratic drop-rates. My most successful efforts have come courtesy of some generous loot but, more often than not, you’re scavenging for anything you can find. Armour and shields offer you a boost to your maximum health but you’ll not see the benefit until you start healing. Rings offer more tangible rewards as they influence buffs, healing effectiveness and attack power. It results in a grind that struggles to make you feel you’re gaining in resilience as you delve further into the four dungeons. Weaponry does manage to put some of the fight in your favour but the random nature of the genre can put pay to it just as quickly. Gaining a foothold feels fleeting and, whilst you can use doors to start at a later point, I would rather start from scratch with the potential for lady luck to smile on me. Crimson Keep retains a simple presentation that is not pleasing on the eye. Environments look chunky and basic with enemies not offering much more in detail. It’s a consistent aesthetic but it all underwhelms. Blood splatters nicely when hits do connect and that certainly makes bosses look more withered when taking them down. The caverns themselves are nicely lit which helps stave off some boredom. Unfortunately, the layouts can lead to the occasional dead end. 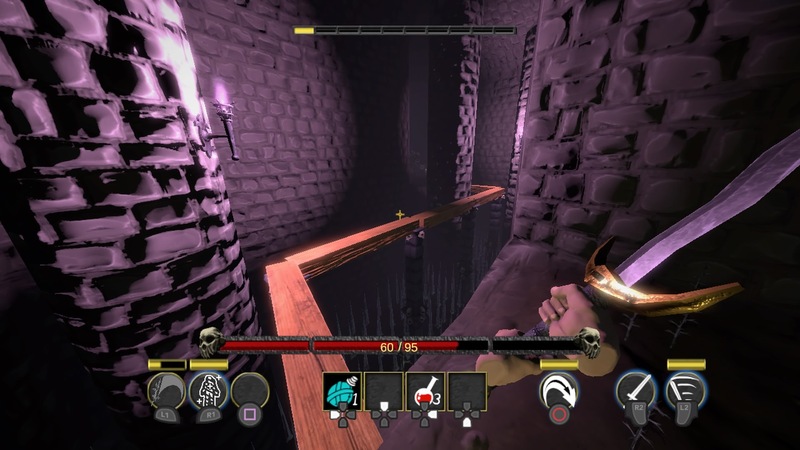 Each level of the dungeon does try to provide its own look and feel and they come with unique enemies. It’s a pity it all lacks a punch. Objects can look cheap and there’s definitely moments where you can see the world being stitched together. The lack of polish can make Crimson Keep feel like a proof of concept that was brought to market as a finished product. Above all, Crimson Keep feels thin. Your choice of class lacks an impact and loot rarely provides a worthwhile benefit. In a genre which has embraced a level of persistent progression, this offers none. There’s very little to pull you back in from the basic visuals to the uninspiring loot. Pressing on with this just doesn’t deliver me much reward. + Exploration can come at a methodical pace. + New weaponry can definitely help you feel powerful. - Loot drops feel sporadic and detrimental to a run. - Classes barely feel distinct. - There's no real sense of persistence to this. - Combat starts to feel uninspired and lacking depth. I wanted to give Crimson Keep the benefit of the doubt and, whilst the technical troubles that plagued the Switch version appear to have been rectified, the more fundamental problems remain in sharp focus. The adventure might be short in nature but I just don't find perseverance particularly satisfying. There's no sense of depth or a foothold to be gained from a game that's a little too bare to flourish. A thorough and critical review! I really appreciate the objectivity you guys maintain with your reviews! Keep up the good stuff!